Albemarle 262 / 260 Center Console boat Specifications specs. The following specs for Albemarle boats are for informational purposes only; we do not guarantee their accuracy. Bayliner 219 Boat Specifications Specs. The following specs for Bayliner Boats are for informational purposes only; we do not guarantee their accuracy. Bayliner 212 Boat Specifications Specs. The following specs for Bayliner Boats are for informational purposes only; we do not guarantee their accuracy. Bayliner 2050 Capri LS/SS Specifications. The following specs for Bayliner Boats are for informational purposes only; we do not guarantee their accuracy. 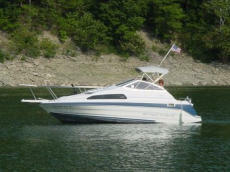 Bayliner 205 Specifications. The following specs for Bayliner Boats are for informational purposes only; we do not guarantee their accuracy. Bayliner 2950 / 2958 Command Bridge Specifications. The following specs for Bayliner Boats are for informational purposes only; we do not guarantee their accuracy.